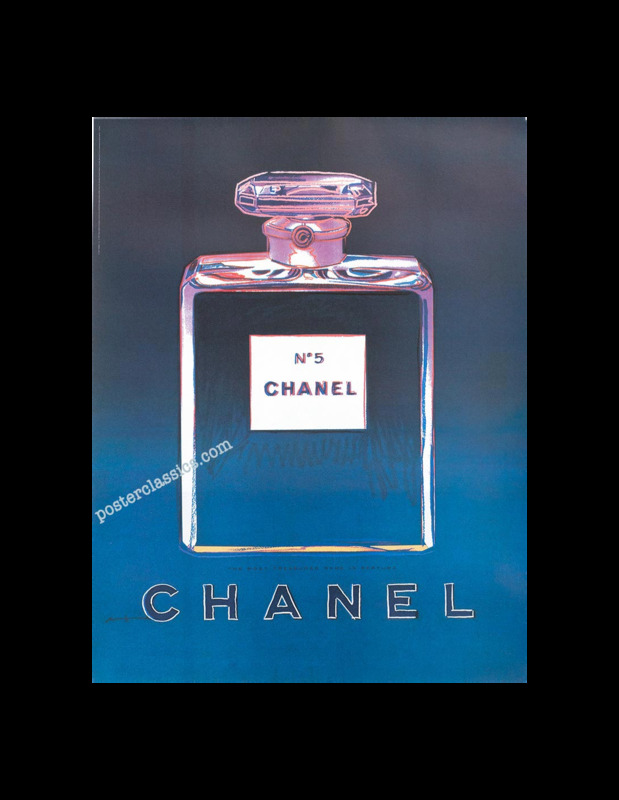 Andy Warhol created this image for Chanel in the 1980's but it was not until 1997 that Chanel decided to use it as a publicity in their add campaigns. They printed the different color images in different sizes for different uses. There was a large size 47x63 inches for Bus Stops along the Champs Elysee. 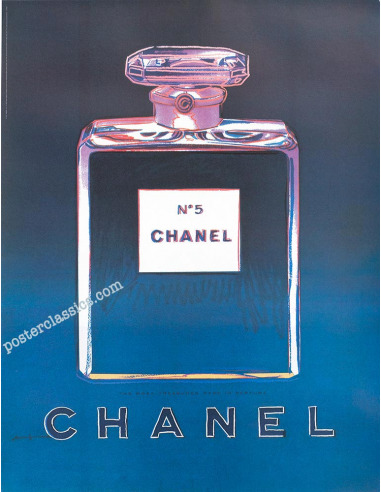 Then this size which was given out in department stores to customers who bought ONLY Chanel N5 Perfume. They also made postcards with small amout of perfume attached. The poster is sold separately or in the full set of 4 posters. Mounted on linen and in excellent condition.